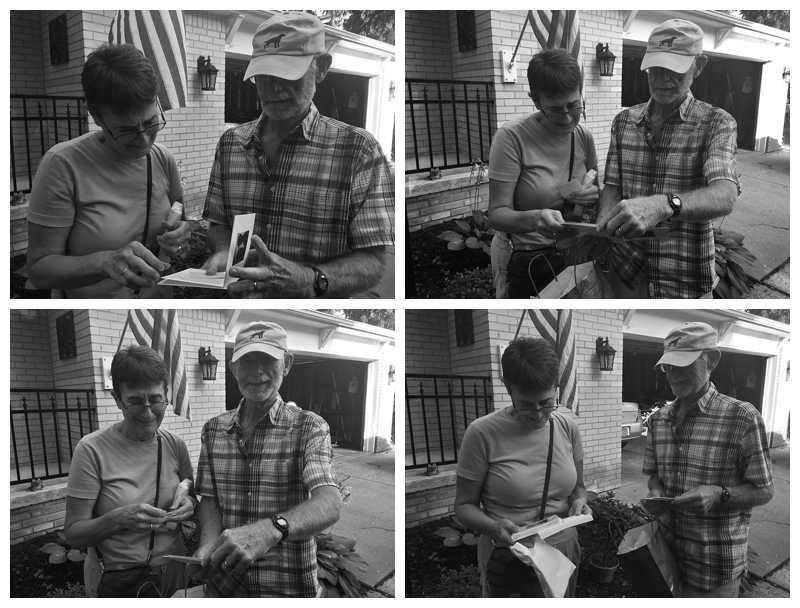 It was our parents’ 40th Wedding Anniversary on Sunday; and before our parents left for their trip commemorating this milestone, we gave them a surprise anniversary gift. The three of us, including our spouses, gave our parents money to use towards taking a trip to England; and we also made a custom anniversary card along with photo cards spanning the past 40 years beginning with our parents’ honeymoon in 1975 to the Virgin Islands! 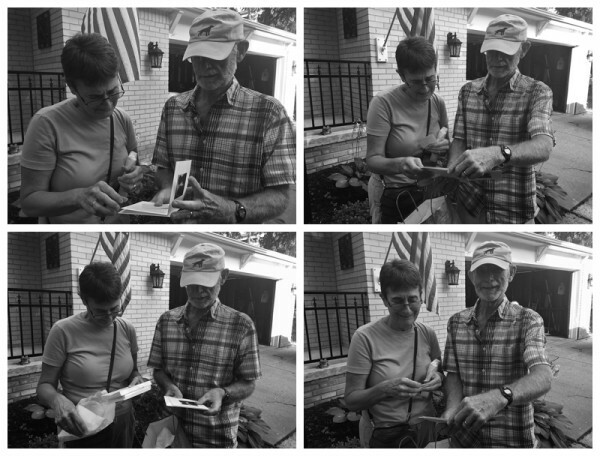 Below are a few images (courtesy of my sister), taken at my sister and brother-in-law’s house, of our parents opening their surprise gift from all of us, which they loved!